With 16 years of experience, Tube China has grown into one of the Asia's most influential tube and pipe industry event. Concurrently held with wire China, Tube China 2020 will take place from 23th to 26th September at Shanghai International New Expo Centre with 100,800sqm exhibition space. It's estimated that the both events will welcome 48,000 quality visitors and be ground to a comprehensive exhibit range presented by around 1,700 leading brands. Click to download the "Tube China 2018 Post Show Report" . Tube China has its debut in 2004 and has be recognized as the largest trade fair for its industry in Asia. Tube China 2020 will take place on 23-26 Sept. at Shanghai International New Expo Centre. Tube China 2018, together with wire China, concluded with a surpassing expectations with 45,120 trade visitors, and an unprecedented 100,800sqm space to accommodate 1,654 exhibitors. Be part of the Asia's most important trade fair for the tube & pipe industry · Show off who you are · Meet the decision makers · Take advantage of the global network of Tube worldwide shows. 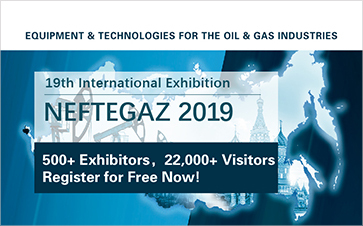 Experience the latest technologies and state-of-the-art machinery · Meet market leaders, newcomers and traditional companies · Make valuable contacts and find new business partners. Great news for all fans of the French capital: The Paris district "La Defense" will become home to a spectacular new skyscraper, featuring thyssenkrupp's unique TWIN elevators with two cabins instead of just one moving in the same shaft.